Nobody wants to think about the possibility of water getting in their basement. That’s because water in the basement is not only a major hassle—it can lead to unexpected and substantial costs. Unfortunately, a lot of homeowners don’t put much thought into water woes until they have them. At this point, you already have to deal with the hassle and expense of fixing your existing problem before even thinking about preventing it from happening again in the future. One of the best ways that you can help prevent water from flooding your basement in the first place is with a sump pump. A sump pump installation in your existing basement will ensure that water is pushed out and away from your home—where it can’t do any damage. A sump pump’s job all begins with the “sump pit” of your basement. 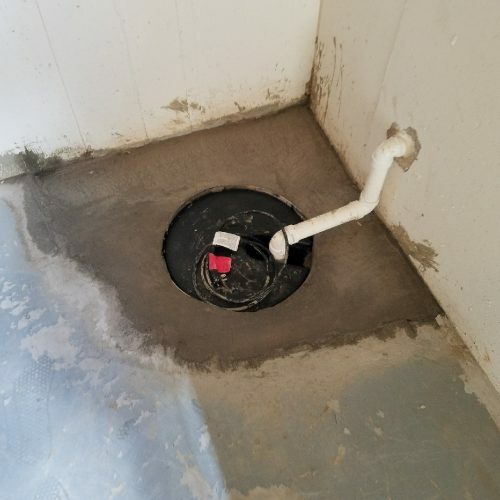 A sump pit is essentially a “hole” that is designed to help keep water out of your home by allowing it to collect in one area via a drain system. Finding the optimal location in the basement for the sump pit is important. Once water is collected, this is where your basement sump pump comes into play. The sump pump will push water out of the pit and to the outside of the home where it is directed away from the foundation. We can install a submersible sump pump with a cast iron, epoxy coated float, and a geo-wrapped pump to prevent sediment from getting in. We will also install check valves to ensure that water only goes in one direction, preventing backflow into your sump pit. What Happens When We Lose Power? Since it’s not uncommon to lose power during a heavy rainstorm, you might be wondering what will happen to your sump pump when it loses its source of power—electricity. An integrated sump pump battery backup system will prevent this from happening and ensure that a lose of power doesn’t leave you with a flooded basement. Does it Matter Who Performs a Sump Pump Installation? Now that you’re feeling pretty confident that adding a sump pump to your basement may be a wise step, you might be wondering who should do the work. 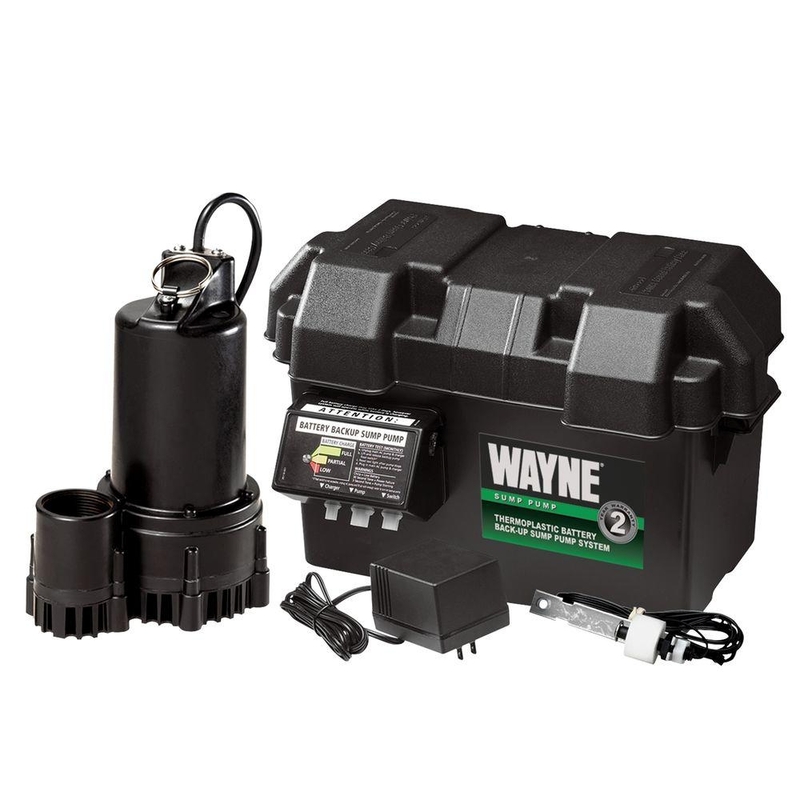 Does it matter who installs your sump pit and pump? The short and resounding answer to this is, yes. It does matter. And we’ll explain why. While it’s quite common for homeowners to assume they can tackle a sump pump installation on their own—or even to hire a plumber for the job—the ideal professional suited to this kind of work is a foundation expert with waterproofing experience. A plumber is great at fixing leaks and working with plumbing—but that’s much different from a sump pump installation. The truth is, a sump pump installation performed by a plumber or by you, the homeowner, can be prone to problems over time if not installed properly. These include overflow, debris accumulation, or continuous cycling. Things can go wrong in more ways than one. Without waterproofing expertise, you may not know where to locate the sump pit, how to size it in relation to the pump, or even how to properly install the sump pump into the pit. Even small mistakes can do more harm than good. Instead, choose to work with a company that understands everything that goes into a proper sump pump installation so that you don’t even have to worry about mistakes. With an experienced foundation specialist that does waterproofing, you’ll be able to feel confident that nothing will be missed. This will also provide you with the peace of mind that you won’t have a flooded basement to worry about the next time there’s a heavy rain. You shouldn’t have to live in fear of water problems when there are feasible solutions out there.